Your brain is the control centre of your body. In order to keep your mind strong, you need to stretch it in many different directions. Treat your brain like a muscle and work it out. 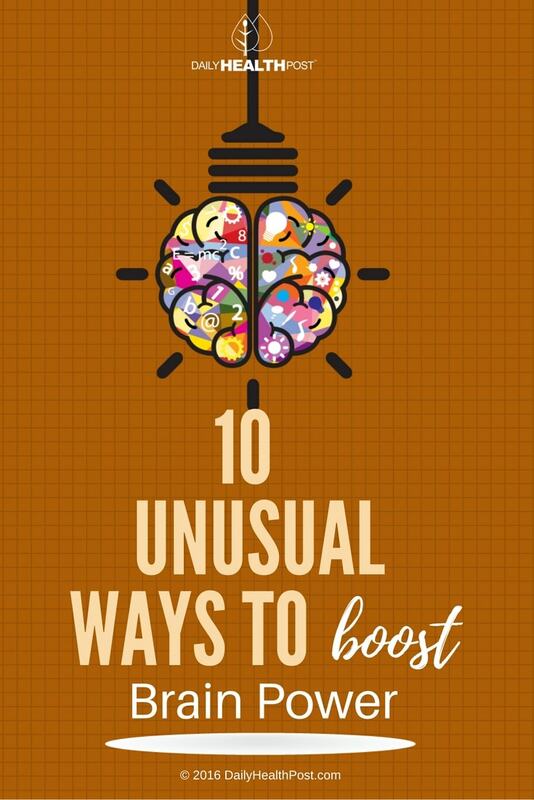 Here are a few unusual ways you can strengthen your brain and memory. Crying is a fundamental instinct in mammals. Having a good cry when you feel frustrated, stressed, sad or angry is a great way to heal emotionally. If you try to keep it in, those emotions will cloud your ability to think clearly. Crying also relieves headaches by clearing up the sinus pressure (1). It also boost circulation of blood to the brain. Empathy stimulates the dorsolateral prefrontal cortex, responsible for decision making and working memory, as well as the frontopolar prefrontal cortex (2). It is important skill in social interaction and understanding of self. By trying to understand other people’s emotions, it gives us a better understanding about how we feel and why. Empathy also stimulates the imagination and mental flexibility. It forces you to go out of your headspace and think more objectively. Visualization is an important trick for day-do-day life. By anticipating future possibilities, it makes it easier to plan ahead (3). This skill can also lead to deeper focus, more creativity and a stronger mind-body connection. In fact, our mind and body are always in synch. Just by imagining a bright sun or a dark sky our pupils adjust to lighting conditions (4). Visualization can also ease stress when used in meditation. Spending just 10 minutes imagining a quiet lakeside picnic can calm intense workplace anxiety. Hypnosis is a popular therapy for psychologically influenced diseases. Sometimes, the only think holding your brain back is your own mind. Hypnotising yourself is a great way to change your focus and reprogram your mindset. Hypnosis also influences pain perception, helps fight fears and brings about clearer thinking (5). The power of hypnotic suggestion is definitely real. The more stress you feel, the more your breathing becomes strained and shallow. Breathing deeply will slow down your heartbeat and lower your blood pressure (6). These deep breaths also increase oxygen exchange by making use of your full lung capacity. Focusing on your breathing is the quickest way to clear your mind and refocus your energy. Laughing can change the course of your day. By seeing the funnier side of things, you realize that everything bothering you isn’t such a big deal. Laughing has proven to be good for all aspects of health. It can completely change your mood because it releases endorphins, which beat down stress. The brain can’t distinguish between spontaneous and forced laughter. And so, you can the benefits of a good laugh without waiting for a good joke. Debating is a great way to express your passion for a specific cause. It forces you to compose your thoughts in a clear and concise manner. Those thoughts must then be translated into words. A good, healthy debate wakes up your brain. It trains your brain to think quickly and increases mental focus. New environments stimulate the brain to think differently. Exposure to new places increases brain plasticity. This means neurons and neural circuits in the brain continue to change in function and structure (8). This is important to keep your brain healthy. If you’re stuck on a problem or have trouble thinking, try moving to another room or another location. You will feel an instant boost of mental capacity. Smoothies are great way to reenergize! A fresh blend of vegetables and fruits is a sure way to feed your brain. It’s like giving your brain a quick shot of energy. Being hungry is the number one cause of poor thinking. Eating a nutritious smoothie feeds your body and your mind. You can even take it a step further by loading your smoothies with foods high in omega-3 fatty acids. Asking questions not only teaches you something new: it also stimulates thought. Thinking about how something works or about how to solve a problem stimulates your brain. Learning new ideas forces your brain to build new neural pathways. Staying curious is an important part of living a long life. 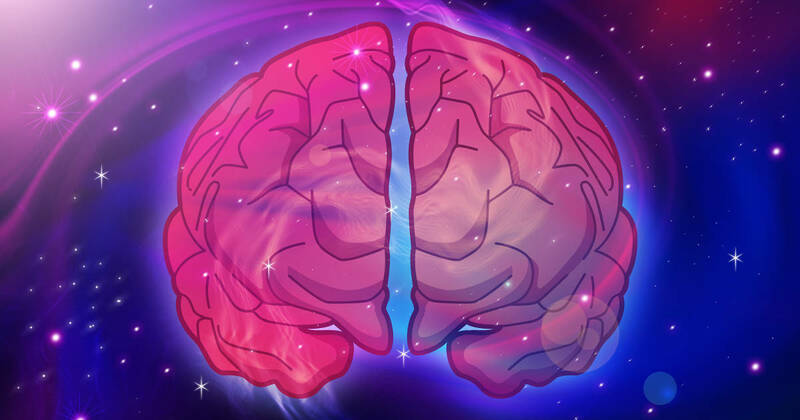 Training your brain in new ways can prevent cognitive decline. After all, a youthful mind means a youthful you!